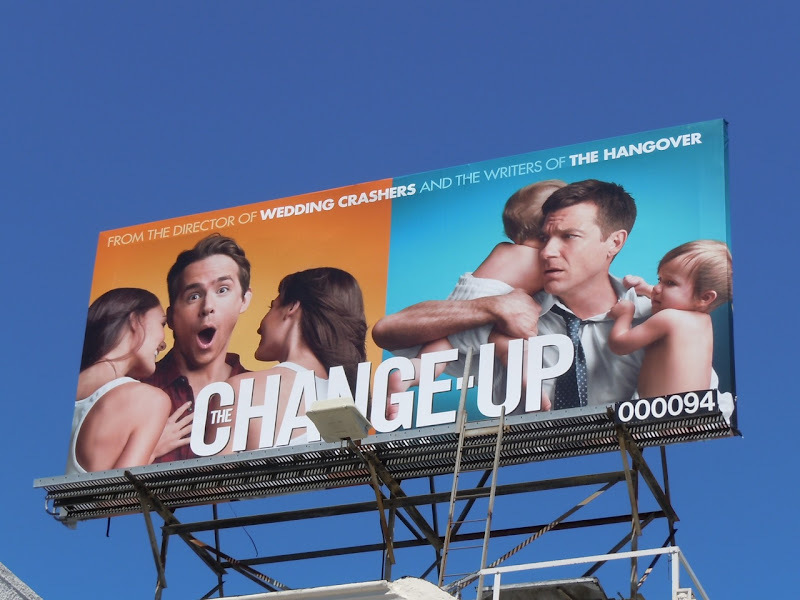 Daily Billboard always likes it when comedies make an effort with their movie billboards and don't fall foul of the ubiquitous funny headshot creative. 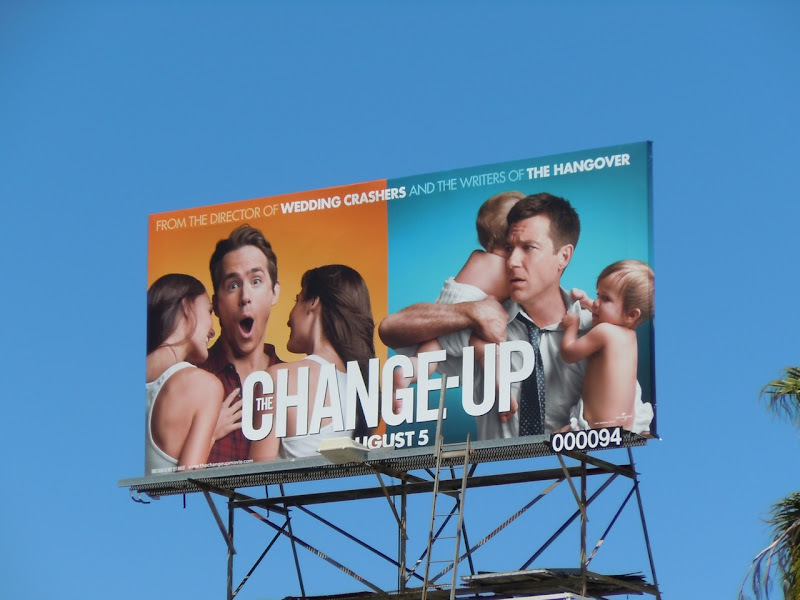 Case in point, The Change-Up, starring this Summer's Green Lantern, Ryan Reynolds, and Horrible Bosses star Jason Bateman, in the latest take on the body switch comedy. 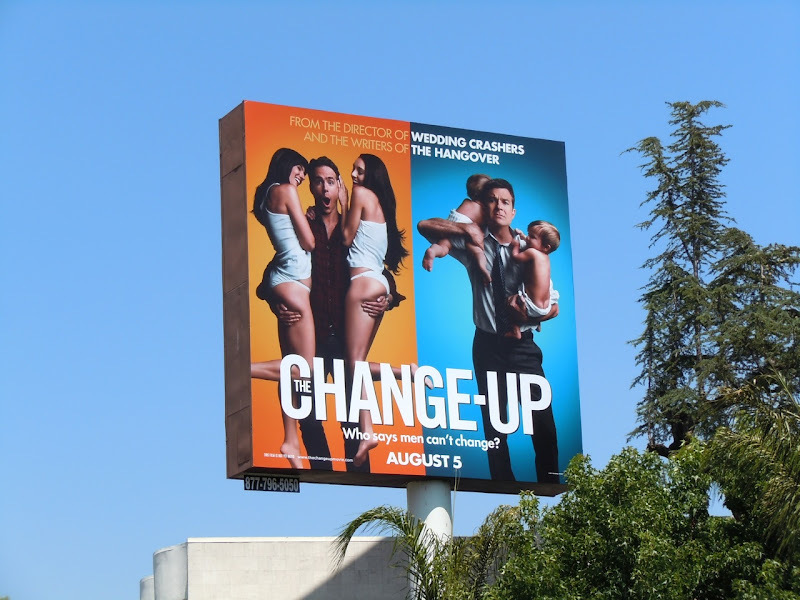 The zingy orange and blue colour combination on these billboards really pops from a distance and it's nice that the different formats have slight variations in poses to keep things interesting, and a little bit cheeky too. 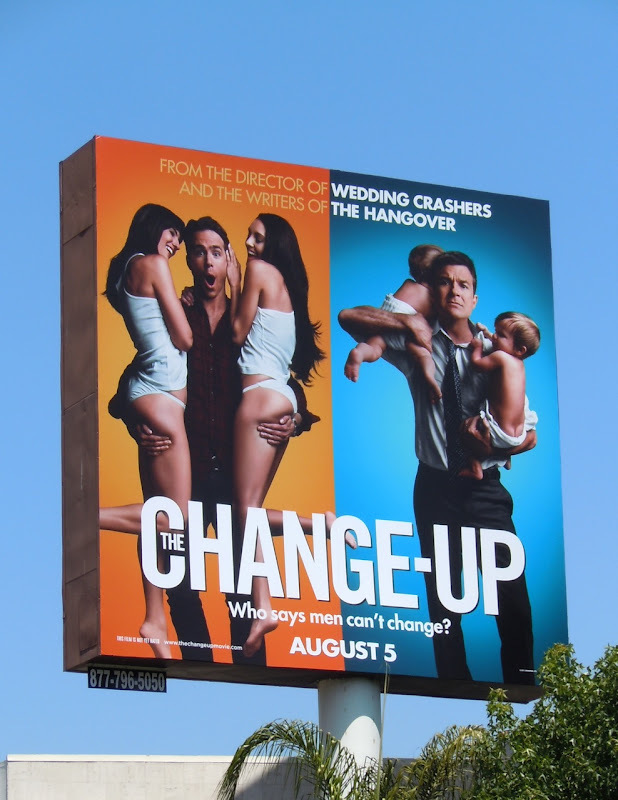 The squarer billboard version was snapped along Sunset Boulevard in West Hollywood and the smaller format along Beverly Boulevard on July 13, 2011. 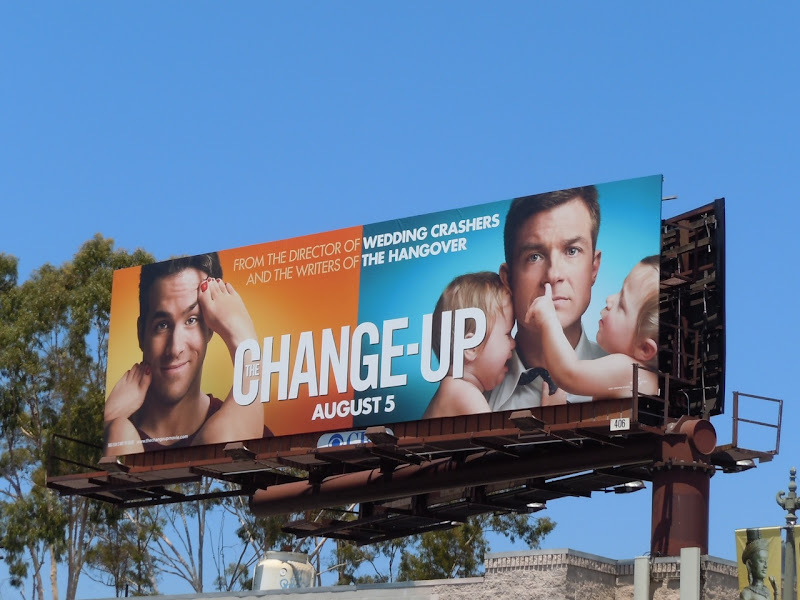 UPDATED: By popular demand (or mainly for all you foot-fetish fans), here's another creative from The Change-Up movie billboard campaign snapped along La Cienega Boulevard on August 7, 2011. Too bad you didn't show the picture with the girl's beautiful feet on the guy's face. Hot!! !